If you enjoyed the article on Jack Daniels – The Art and Science of Running Video, you are sure to enjoy this podcast. With the closing of the The High Altitude Training Center in Flagstaff, I thought to give Jack Daniels some shameless promotion for his book and DVD, though I really don’t think he needs the money. 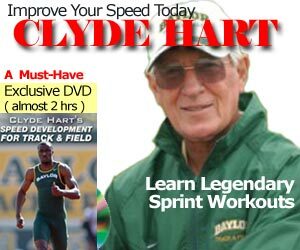 This man dedicated his entire life to running, and his passion for the sport spills out in interviews and DVDs. This audio interview comes courtesy of the The Canadian Athletics Coaching Centre. In this interview Daniels shares his decades of experience coaching, testing and studying elite distance runners. He reflects on what we know and do not know about such pressing concerns for endurance coaches as altitude training, tapering and periodization. He also speculates on the future of distance running and suggests what coaches should consider foremost when they design young athletes’ training plans. Daniels’s perspectives are both fresh and timeless. He is without question a voice of reason, passion and wisdom with something important to offer every coach out there, even if it is just a call to think carefully about how you presently coach your athletes.